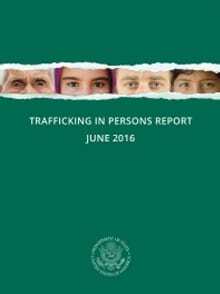 The Trafficking in Persons (TIP) Report is the U.S. Government’s principal diplomatic tool to engage foreign governments on human trafficking. It is also the world’s most comprehensive resource of governmental anti-human trafficking efforts and reflects the U.S. Government’s commitment to global leadership on this key human rights and law enforcement issue. It represents an updated, global look at the nature and scope of trafficking in persons and the broad range of government actions to confront and eliminate it. The U.S. Government uses the TIP Report to engage foreign governments in dialogues to advance anti-trafficking reforms and to combat trafficking and to target resources on prevention, protection and prosecution programs. Worldwide, the report is used by international organizations, foreign governments, and nongovernmental organizations alike as a tool to examine where resources are most needed. Freeing victims, preventing trafficking, and bringing traffickers to justice are the ultimate goals of the report and of the U.S Government’s anti-human trafficking policy.